The Lebanese army admits to one rocket attack on Israel overnight but said it does not know who fired it. Hizbullah has not commented. 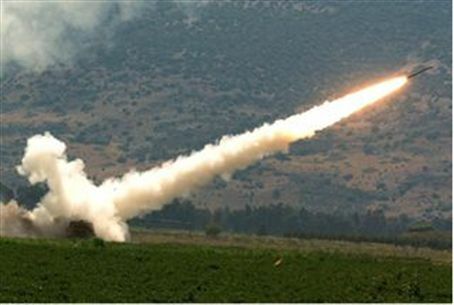 The Lebanese army has admitted to one rocket attack on Israel overnight but said it does not know who fired it. Hizbullah has not commented. "We know that a rocket was fired from the region of Rmaish and we are investigating," an army spokesman told AFP. The village is in southern Lebanon, thoroughly under Hizbullah control. The IDF said “a number of rockets” exploded in the western Galilee, causing damage but no injuries. One missile hit a gas canister and caused a fire. Most reports said that four missiles were fired. Intelligence Affairs Minister Dan Meridor, who represents the left-wing flank of the Likud and has backed surrendering the Golan Heights to Syria for a peace treaty, said Tuesday that no one should jump to conclusions that Hizbullah was behind the Katyusha missile attacks. The IDF stated, "The Israeli army considers that it is a serious incident and believes that it is the responsibility of the Lebanese government and the Lebanese army to avoid this kind of attacks." The military has raised the possiblity that terrorist factions other than Hizbullah, such as those allied with the Palestinian Authority, were behind the rocket attacks. The IDF returned artillery fire to the area where the rockets were launched, and no damage or injuries were reported. Hizbullah routinely “reminds” Israel of its presence every several months. The last incident was on August 1 when terrorists fired across the border and drew an Israeli response. No one was injured.